Ah, Rome. I keep coming back to the Eternal City and every time I do, she introduces me to new architectural masterpieces to marvel at, new tales about the Roman Empire and new quaint pizzerias hidden on Trastevere’s cobblestone streets where passionate waiters jokingly tell me off for asking them if they can serve my aubergine parmigiana without the cheese; “Why would you ask for that, bella? It’s an offence to Italian cheese!” Rome is one of those places that are so full of history that you’d wish you had all the time in the world to wander around and get lost in its charming alleyways and piazzas where stunningly carved sculptures and grandiose fountains can be found in every nook and cranny. And just like Rome itself, every corner in Rome Cavalieri will surprise you with something new to wonder at. With a truly impressive collection of period furniture and original artworks, paired with the jaw-dropping views that its outstanding location high above the city provides, Rome Cavalieri manages to perfectly capture the essence of Rome. Situated in a 15-acre private Mediterranean park in a quiet residential area, Rome Cavalieri feels like an oasis of greenery and quietness to return to after a day of exploring Rome’s crowded tourist attractions. The hotel offers 345 spacious rooms with private balconies and 25 sumptuous suites – individually decorated to showcase original art pieces and antique furniture. 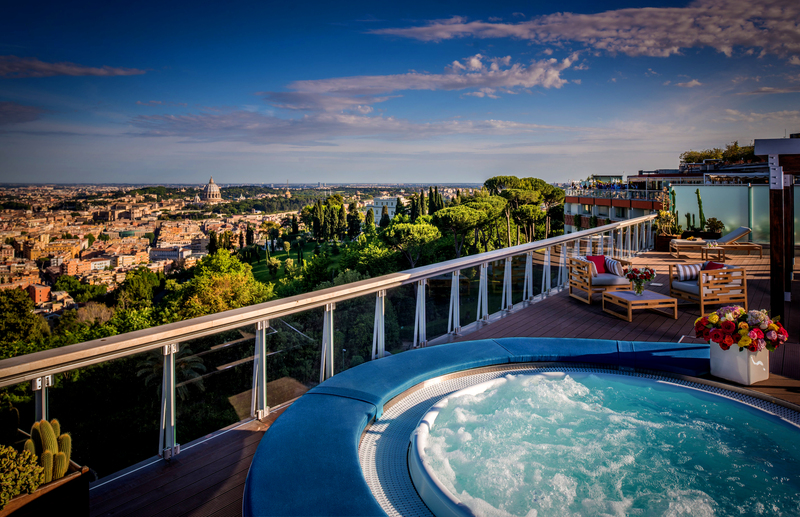 For a true slice of la dolce vita, book the Penthouse or the Planetarium Suite, both offering expansive terraces, hot tubs and sensational views of St Peter’s Basilica and even the Colosseum in the distance. Staying in one of the suites or Imperial Rooms will grant you access to the super exclusive Imperial Club where you can enjoy complimentary refreshments throughout the day, as well as breakfast, afternoon tea and aperitivo before dinner. When you first walk into the hotel, you may find yourself wondering whether you’ve entered a hotel or an art gallery. 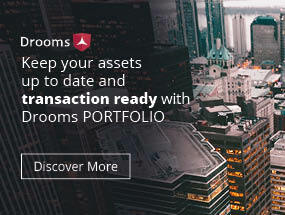 Its highly prized private collection of period furniture pieces, original paintings, tapestries, statues and rare 18th-century antiques (over 10,000 pieces in total) includes a 17th century Giovanni Battista Tiepolo triptych – considered to be a national treasure, as well as a spectacular Zais piece hanging over the concierge desk. But the art tour doesn’t end as soon as you leave the lobby – every inch of the property is adorned with magnificent artworks – from authentic Nureyev costumes on display outside the Imperial Club through to original Andy Warhol paintings and sofas designed by Karl Lagerfeld in the Penthouse Suite. Italians know a thing or two about good food and Rome Cavalieri is no exception. With its signature La Pergola Restaurant & Bar, managed by widely celebrated Chef Heinz Beck, the hotel is the only hotel in Italy that offers its guests three-Michelin-starred cuisine. It is also home to Uliveto Restaurant, serving Meditarenan and international classics with a twist, Tiepolo Lounge and Terrace where you can enjoy drinks and light lunches surrounded by Tiepolo’s art, a pool bar and the Grand Spa Café, as well as the seasonal alfresco Chalet Grill where in the summer, you can watch live sport events on large TVs. If you can squeeze in some time in between exploring Rome and enjoying the outstanding food in Rome Cavalieri, head to the hotel’s spa where you can find an indoor pool, three outdoor swimming pools, two saunas, a whirlpool and an amethyst Turkish bath. For those who like to work up a sweat before starting their day, Rome Cavalieri’s Spa also offers a fully-equipped state-of-the-art gym; but if you’d rather pamper yourself, book a treatment in one of the 10 treatment rooms (the list is truly impressive!) – a full-body massage will be well needed after strolling the streets of Rome all day. If you’re travelling to Rome for work, Rome Cavalieri also offers impressive meeting and conference facilities, with 8,700m2 of meeting and conference space, a grand ballroom with a capacity of 2,100 people, 28 meeting rooms and a separate congress centre entrance. With an unmatched abundance of sights to explore, Rome is undoubtedly one of the most dazzling and remarkable cities not only in Europe but in the world. Yet, once you enter Rome Cavalieri and you get a taste of everything it has to offer, leaving the grounds of the hotel will seem like a nearly impossible task. My advice: stay for as long as you can!